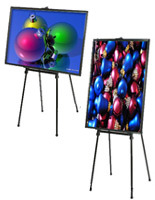 Adjustable Height From 45" to 74.8"
These silver snap frame easels can display posters, art and advertisements measuring 24" x 36". 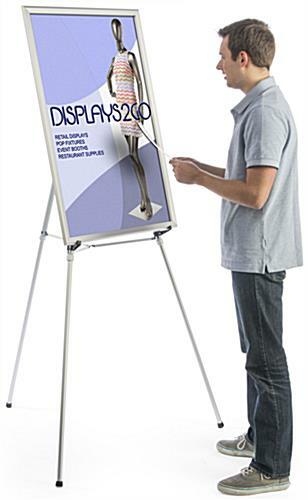 The floor stands can also be used for holding flip charts with their removable brace. 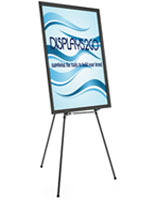 The snap frame easels feature a height adjustable design that allows them to have a measurement ranging from 45" to 74.8". 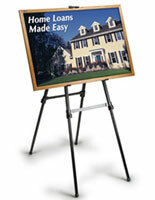 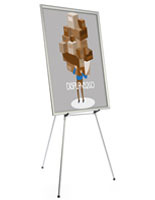 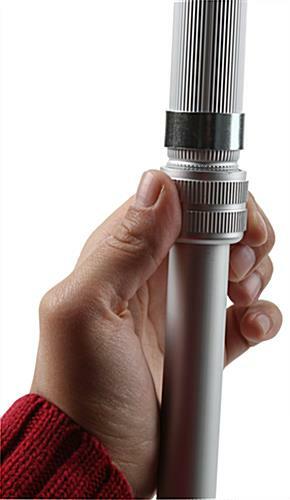 Each poster holder can display art either horizontally or vertically to accommodate any user. 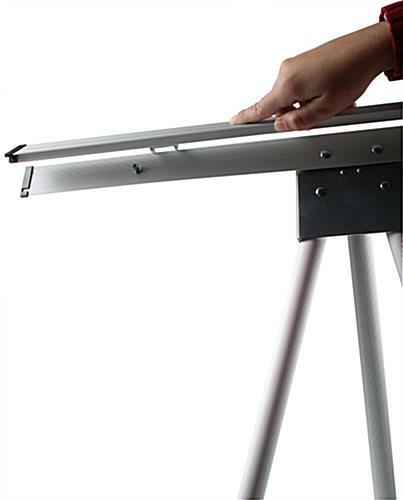 The height adjustable easels feature a strong aluminum construction while still weighing only 8.5 lbs. 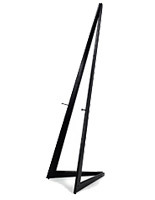 for hassle-free transport. 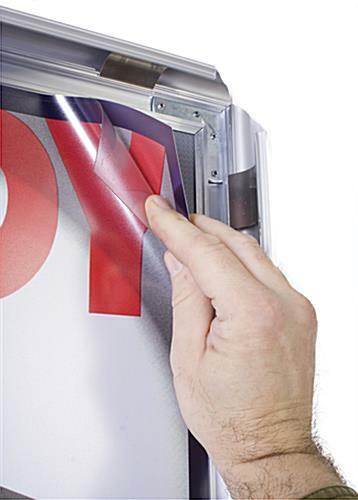 The floor stands also come with a protective lens to prevent graphics from being damaged by moisture and fingerprints.